Vatican City, Oct 18, 2018 / 09:45 am (CNA).- South Korea’s President Moon Jae-in met with Pope Francis today after praying for peace on the Korean peninsula in St. Peter’s Basilica. The visit marked the 55th anniversary of diplomatic relations between Seoul and the Vatican. “I come to you as president of South Korea, but also as a Catholic. 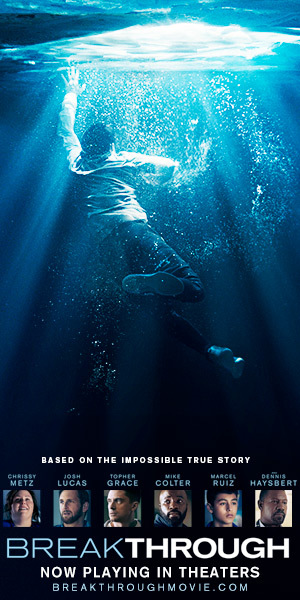 My baptismal name is Matthew,” Moon said as he greeted Pope Francis in the Vatican Apostolic Palace Oct. 18. The Korean president and the pope discussed their common commitment to fostering initiatives to overcome the tensions that still exist in the Korean Peninsula, according to the Holy See Press Office. After the papal meeting, Moon met with Archbishop Paul Gallagher, Secretary for the Relations with States, and Vatican Secretary of State Cardinal Pietro Parolin. The evening before the visit, Moon also participated in a “Mass for Peace” on the Korean peninsula celebrated by Cardinal Parolin in St. Peter’s Basilica. “Peace is built with the choices of every day, with a serious commitment to the service of justice and solidarity, with the promotion of the rights and dignity of the human person, and especially through the care of the weakest,” Cardinal Parolin said in his homily. “Just as your holiness prayed before the U.S.-North Korea summit, we are paving a desirable way toward assuring a peaceful future for the Korean Peninsula and the world,” Moon said. The pope and the Korean president exchanged gifts, including a medallion of olive branches as a message of peace and a Korean image of the Virgin Mary. When Pope Francis saw Moon’s gift of a sculpture of the face of Jesus by a Korean artist, he remarked that he could see the suffering of the Korean people in Christ’s crown of thorns. Last month, Moon traveled to Pyongyang for the third inter-Korean summit with North Korean leader Kim Jung Un. The leaders of the two Koreas pledged to make a joint bid for the 2023 Summer Olympics. During their meeting, Kim Jung Un asked the South Korean leader to extended an invitation to Pope Francis for a papal visit to North Korea. Kim told Moon that he would “greatly welcome” the pope in Pyongyang, according to South Korea’s presidential office. A South Korean bishop attending the 2018 Synod of Bishops said last week that a papal visit to Pyongyang would be “a giant step forward for peace on the Korean peninsula,” but cautioned that there must be “some sort of religious freedom” before such a visit takes place. North Korea has consistently been ranked the worst country for persecution of Christians by Open Doors. 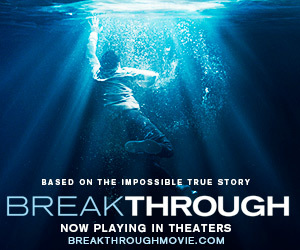 Christians within the atheist state have faced arrest, re-education in labor camps, or, in some cases, execution for their faith. A United Nations investigation in 2014 produced a 372-page report that documented crimes against humanity, including execution, enslavement, torture, imprisonment, forced abortions, and knowingly causing prolonged starvation. The U.S. State Department estimates that there are currently an estimated 80,000 to 120,000 people in North Korea’s six political prison camps. “Only those who have experienced the inscrutable mystery of the apparent absence of God in the face of suffering, oppression and hatred can fully understand what it means to hear the word peace resound again,” Cardinal Parolin said at the Mass for the Korean peninsula. “I and all my people hold dearly the pope’s message that ‘dialogue is the only solution in every conflict.’ [We] will solemnly walk toward democracy, lasting peace on the Korean Peninsula and an inclusive nation,” Moon wrote in an article published by Vatican newspaper L’Osservatore Romano Oct. 17. Seoul, South Korea, Mar 9, 2018 / 04:14 pm (CNA/EWTN News).- The Vatican’s recent diplomatic appointment to South Korea gained added significance as President Donald Trump announced that he will meet with North Korea’s Kim Jong-un for nuclear negotiations within the next two months. Pope Francis’ appointed Monsignor Alfred Xuereb to serve as the Apostolic Nuncio to Korea beginning March 19. “As the pope continually shows his concern for the reconciliation of the two Koreas and [prays for] peace on the Korean Peninsula, the new nuncio will play an active role in bridging the gap between the two Koreas and working for peace in the region,” said the Acting Apostolic Nuncio to Korea, Monsignor Marco Sprizzi, according to UCA news. Monsignor Xuereb, who previously served as a private secretary to both Pope Francis and Benedict XVI, will be consecrated a bishop as he takes up his first diplomatic posting for the Vatican. Although he lacks the diplomatic experience of his predecessors in the Korean nunciature, the Maltese cleric is reported to be close to Pope Francis. “Monsignor Xuereb is one of the closest allies of Pope Francis and reads the pope’s thinking very well,” continued Monsignor Sprizzi. Trump announced March 8 that he had accepted an invitation to meet with North Korean dictator Kim Jong-un to negotiate the North’s nuclear weapons program. Trump will be the first sitting U.S. president to meet face to face with a North Korean leader. Trump followed up yesterday’s announcement with calls to Chinese President Xi Jinping and Japanese Prime Minister Shinzo Abe to discuss the prospect of dialogue between the U.S. and North Korea and to confirm a shared commitment to maintaining sanctions until tangible steps toward denuclearization are taken, according to the White House. South Korean President Moon Jae-in helped to facilitate the upcoming meeting between the U.S. and North Korea. Moon sent his National Security Advisor Chung Eui-yong to Pyongyang on Monday and then quickly on to Washington to convey the North Korean leader’s invitation to Trump. Moon is a practicing Catholic who has pledged himself to peaceful dialogue on the Korean peninsula. 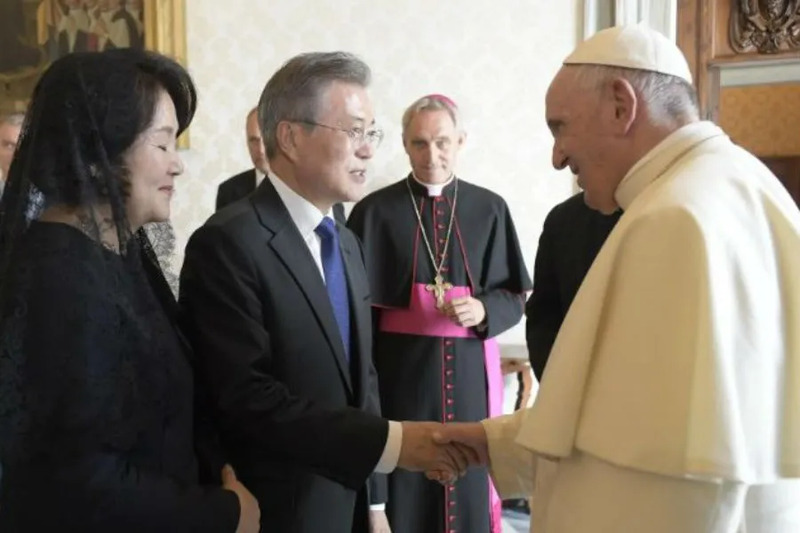 Shortly after taking office in Seoul, Moon commissioned a Korean envoy to meet with Pope Francis in Rome last May to advocate for Vatican support for Korean reconciliation. Catholic bishops in South Korea have long advocated for a peaceful solution on the Korean peninsula. In response to North Korea’s nuclear provocations, the bishops appealed for peace talks in an official statement in Aug. 2017. Sơn Tây, Vietnam, Aug 8, 2018 / 12:11 pm (CNA/EWTN News).- Heavy rains have caused flooding in northern and north-central Vietnam, and officials of the local Church are encouraging aid for those affected. 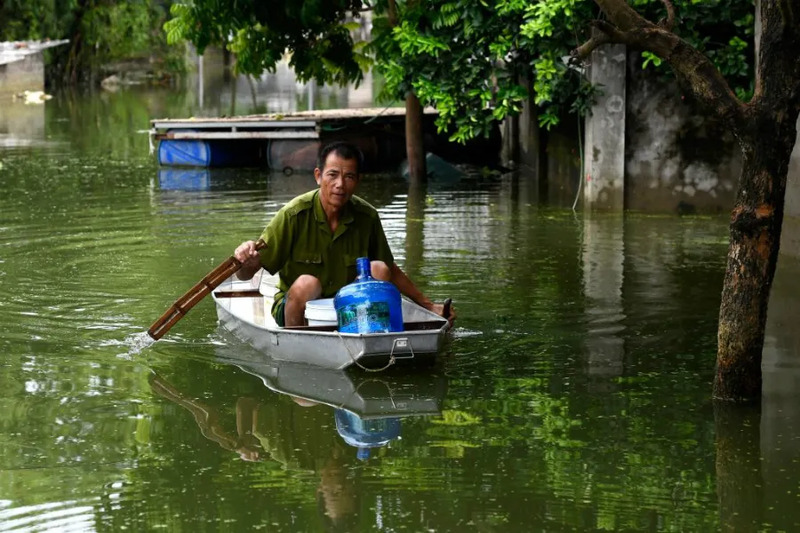 Fr Paul Nguyễn Quốc Anh, director of Caritas in the Diocese of Hưng Hóa, has challenged laity and religious to buy food, water, and medicine for the flood and landside victims, “for Catholics and non-Catholics,” AsiaNews reported. Continuous rains from July 23 – Aug. 6 have led to flooding around Sơn Tây which has killed at least 28 people. Eleven people are missing, buildings, roads and bridges have collapsed, and agriculture has been severely affected. Hà Văn Huyên, the leader of a village in the Yên Bái province, recalled the devastating moment of a flash flood. Also damaged in the flood was the Sùng Đô chapel in the Nghĩa Lộ District. The church’s pastor, Father Joseph Nguyễn Trọng Dưỡng, described the damages to his parishioners, which is largely made up of H’Mông people. On July 27, Auxiliary Bishop Alsphonse Nguyễn Hữu Long of Hưng Hóa visited the small mountain community of Sùng and the missionary area in Tả Phời. The areas are notably poor and remote. The bishop encouraged the residents to persevere during this difficult time. 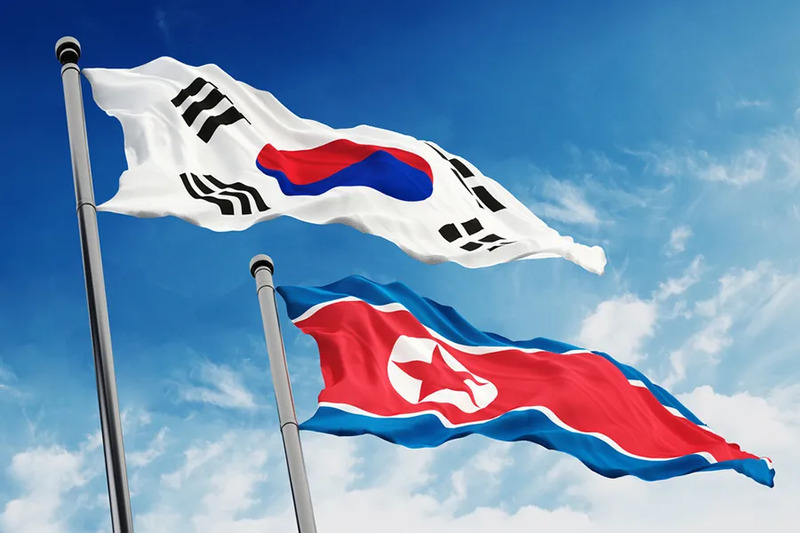 Seoul, South Korea, Apr 27, 2018 / 04:42 pm (CNA/EWTN News).- Local bishops called the Inter-Korean Summit an answered prayer after the leaders of the two Koreas signed a peace agreement on April 27.